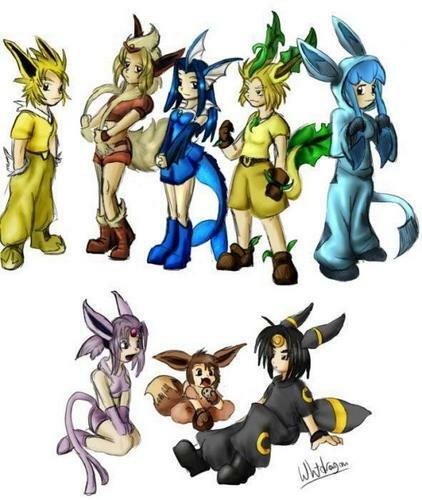 Eevee evolutions anime. . Wallpaper and background images in the pokemon club tagged: artwork. i like how eevee is paying no attention to them! what the awesome pic is this?! I LOVE EEVEE! This pic is awesome! cute and LOL for eevee! This is the best humanization image that I ever seen! I love Glaceon! As my major character in my stories! Wow, what a great-- WHAT THE-- ..........................................­...­...­...­...­...­...­...­...­...­...­...­...­...­...­...­...­...­...­...­...­...­...­...­...­...­...­...­...­...­...­...­...­...­...­...­...­...­...­...­...­...­...­...­...­...­...­...­...­...­...­...­...­...­...­...­...­...­...­...­...­...­...­...­...­...­...­...­...­...­.. Awesome job on Umbreon, especially. The others are good, but Umbreon's turned out the best. anyone realize that umbreon and epspeon are sasuke and sakura from Naruto?